Save money, save time, save taxes… save & savings have become the keywords of the hour. How many minutes, texts & data are included in your plan? How many minutes, texts & data do you actually use in a month? See how you can start saving with Tello.com by paying exactly what you’re using… and nothing more. 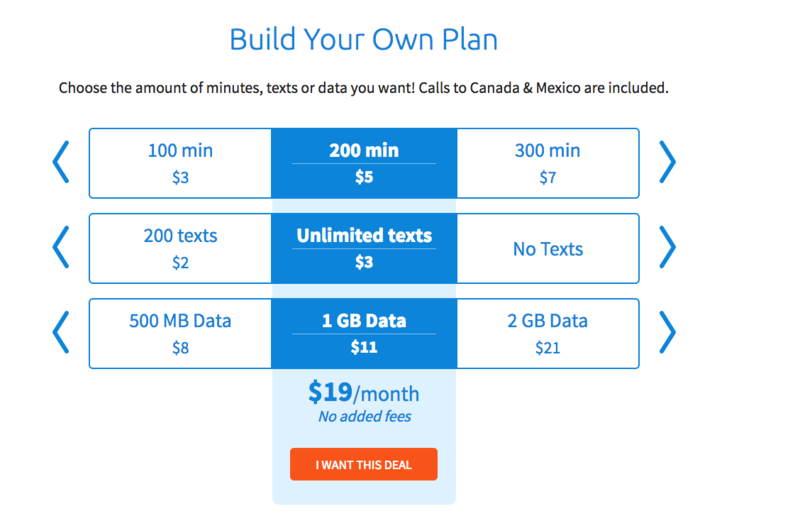 Once you’ve created your own custom plan with the exact amount of data, minutes & texts you need you are ready to save on your phone bill… or better said you are ready to join Tello.com. Still not sure whether to join Tello or not? We understand you’re reluctant. That’s why we think a couple of customer reviews may help you understand we’re for real! No games, no tricks, no false promises. Just Tello. See what customers say about Tello! Customer Service. Customer service is very important to me, if I have an issue they take care of it right away, these guys are on point, very satisfied customer. Great service! My entire experience with Tello was very good. Would warmly recommend to all my friends. I love tello. I love this company although I might I have some drop calls every now and then. It’s worth it for anyone trying to save money. I pay less than $20 for my phone bill. Amazing! Better than sprint on its own! No words. Just amazing! Great Everything! Calls to Canada, flexible call plans, Lowest rates, and super service. Excellent Service. Their customer service is second to none, always a friendly, knowledgeable service representative ready to help you with your problem. 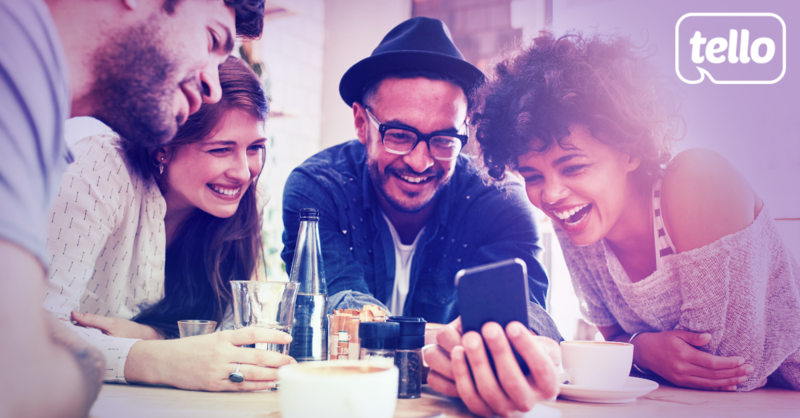 Since our service runs on Sprint, you can only enroll into Tello CDMA devices. You don’t have to purchase one from us, you can bring your own CDMA phone or buy one from any reseller. It’s totally up to you. We’re sorry we’re not a perfect match for you, but we are sure you’ll find the mobile carrier you need soon enough. So if I build a plan, and then later in the month bump up against one of the limits, does Pay As You Go pricing kick in for amounts (minutes, text, Mb) beyond my plan? What happens when I exceed a plan limit? Thank you for your comment! Yes, if you have Pay As You Go credit available in your account, you will be charged from this balance if you run out of the amount of minutes, texts, or data in your plan. If you exceed your plan limit in one of these areas but don’t have any Pay As You Go credit, your service for that specific area will be disconnected until your plan is automatically renewed, unless you renew it sooner or buy Pay As You Go credit. Is it possible to set my phone to never use mobile data when wifi is available? And is it possible to set it so it never updates apps when it’s on mobile data? Thanks for your question. It all depends on whether you have an Android or iOS and these issues can be solved by going to Settings. Make sure your Wifi is enabled, and if so, whenever connected to a Wifi network, your phone will use that instead of your mobile data. You can even turn your cellular data off from Settings > Cellular Data, set a data limit or restrict background data. If you want to update apps over Wifi only on your Android, for example, launch Google Play, tap on the three horizontal lines icon at the top left corner, then choose Settings. Under General choose Auto-update apps and select ‘Auto-update apps over Wi-Fi only’. Grab our Thanksgiving & Black Friday offers! Only a few days left till Christmas!